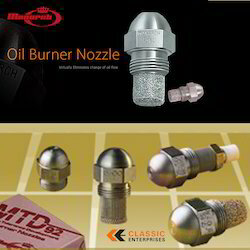 Classic Enterprises, Mumbai import & supply Weishaupt, Germany oil and gas burners and spare parts. 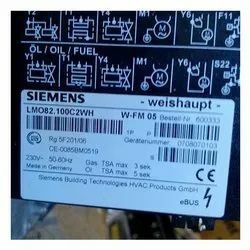 Classic Enterprises, Mumbai Offers Weishaupt Burner Programmers, Burner Sequence Controllers, . Weishaupt Damper Motors, Servo motors, Actuators are highly versatile modulating actuators used for the positioning of flow control valves, butterfly valves, dampers, or any application requiring rotary motion. The reversible actuators of the Sqm. Range are for use in connection with controllers or switching devices equipped with changeover contacts. The SQM, SQN Damper Motors are designed for driving gas or air dampers of oil or gas burners of small to medium capacity or for load-dependent control of the fuel or combustion air volume. Various models are available with different stroke, timings & torque. Remote Modulation Function, Remote Set point and Modbus Communication is Possible. Classic Enterprises Mumbai, Distributors for Weishaupt Combustion Control Products in INDIA offers wide range of Boiler and Burner spare parts. Weishaupt QRI 2B2 - Infrared flame detectors for LMV51 & LMV52 Infrared flame detectors for use with Weishaupt burner controls, Burner Management System for the supervision of gas, oil or coal flames. This burner flame detector is suitable for any type of burners, either in continuous and intermittent operation. Weishaupt burner from Germany regularly use this Weishaupt flame detector model QRI B2B. Siemens Boiler Management System , BMS is a microprocessor-based burner management system with matching system components for the control and supervision of forced draft burners of medium to large capacity.Burner control with integrated fuel / air ratio control and load control for use with forced draft burners including oxygen trim control. The Siemens LMV52 intended for use by OEMs which integrate the burner management systems in their products. Classic Enterprises, Mumbai keep stock of spare parts for weishaupt burner like Weishaupt burner nozzle.